Superb Italian design makes this beast boasting of a 3.9ltr twin turbo-charged V8 engine look lithe and jaw-dropping cool. Titanim-Aluminium alloy (TiAl) used in jet engines is used in this car in the compressor wheels to sustain the super-heated conditions. 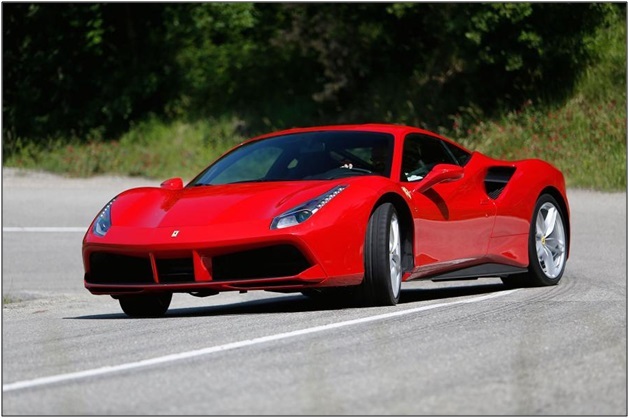 Its torque touches 194.8 N.m, beating all previous records held by any Ferrari model. Its other variants are 488 GTE, 488 GT3 and 488 Spider. This beauty can reach 100 km in 3 seconds. This model has attracted the attention of millions of sports car enthusiasts. The developed version of the Porsche 911, this car has a legendary design, developed over many years, giving it an iconic look. It has a 3.8 ltr engine with a top speed of 318 km/h accelerating from 0-100 in 3.1 seconds. The immaculate German technology and innovations has given this car a sumptuous interior and stability of drive. The car has won a fair few awards at automobile shows, enhancing its prestige globally. It is more for its beauty than any other attribute, that the Huracan is desirable. Classic lines and curves, and a superb interior layout options make it stand out. The first car to use a 12.3 TFT virtual cockpit with a multimedia interface, it allows the driver to manage his visuals. It also has a 5.2 litre engine with a top speed of 325 km/h. it can reach 0-100 in 3 seconds. It also boasts of an electronic stability control. The driving experience is enhanced by the ANIMA mode selector. It practically allows the driver to change the entire set of conditions experienced while driving, allowing him/her to feel comfortable, fast or super fast driving conditions. Using an aluminium body, it is surprisingly light weight. However, it does not compromise on stability. It uses a 5.8 ltr V-8 engine. It can reach speeds of 315 km/h with an acceleration 0-100 in 3.1 secs. A seventh generation car, this one needs no introduction. Its 6.2 ltr engine lights up any surface it is moving on. It reaches its top speed at 181 miles per hour. At 460 hp, it is truly a powerful beast of a car. This car was designed as a challenge to overcome any lingering criticism of the interior designing of Chevrolet Sports cars. The C7 is supposedly inspired by the former 5th generation of the Corvette. Previous Previous post: How to replace UPS battery?